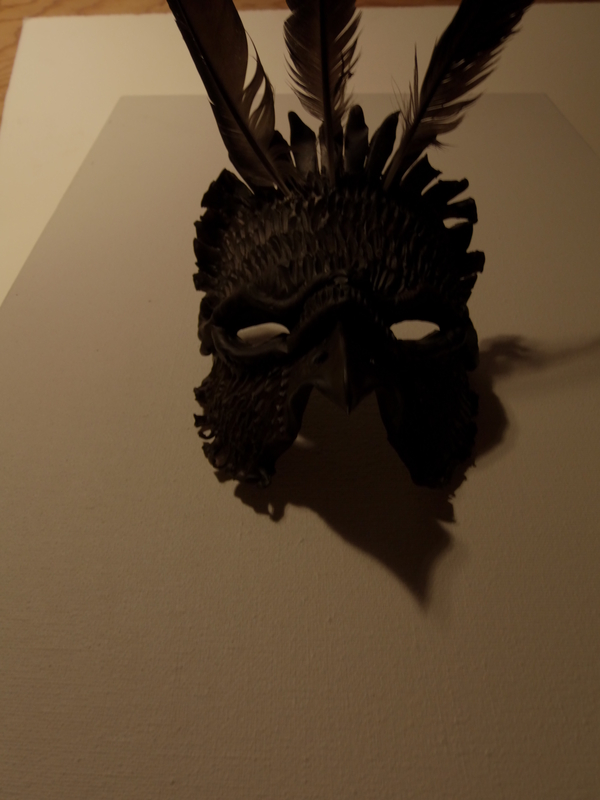 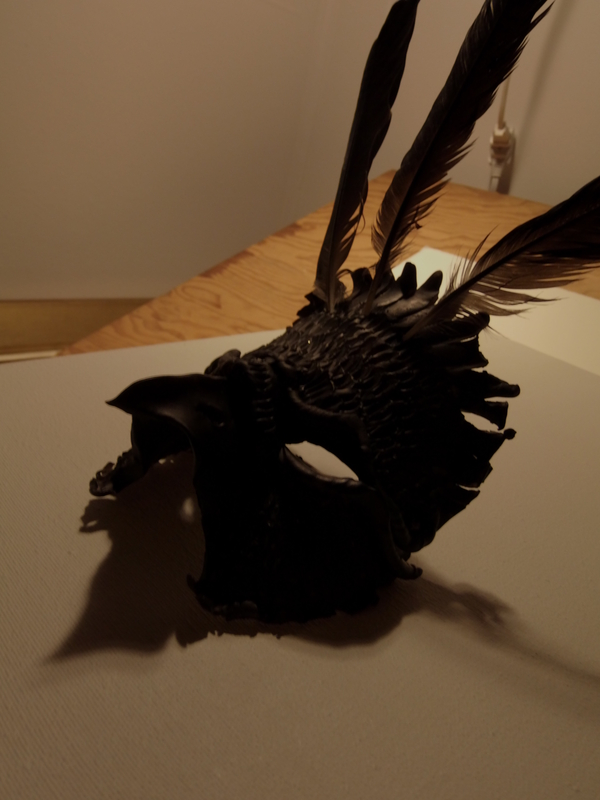 Here’s a look at one of the masks that will appear in Myriad-Myth Conceptions. 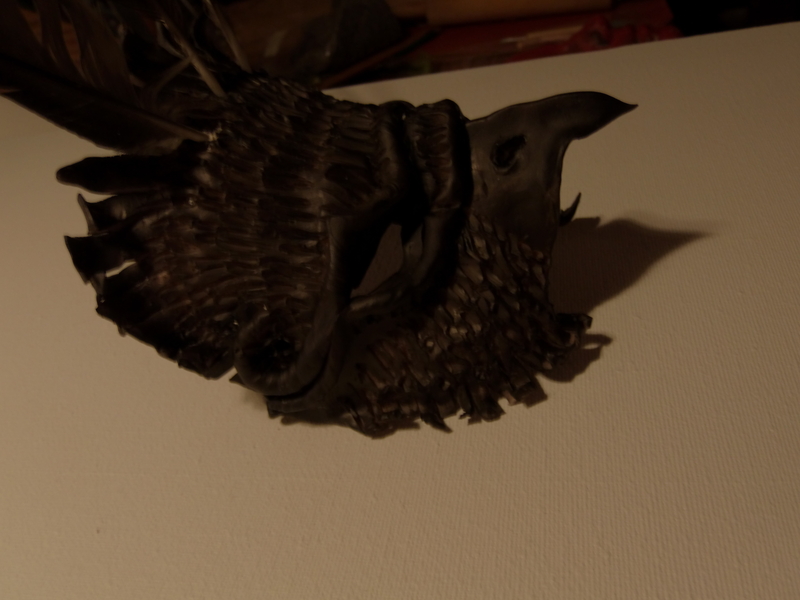 This is Crow. 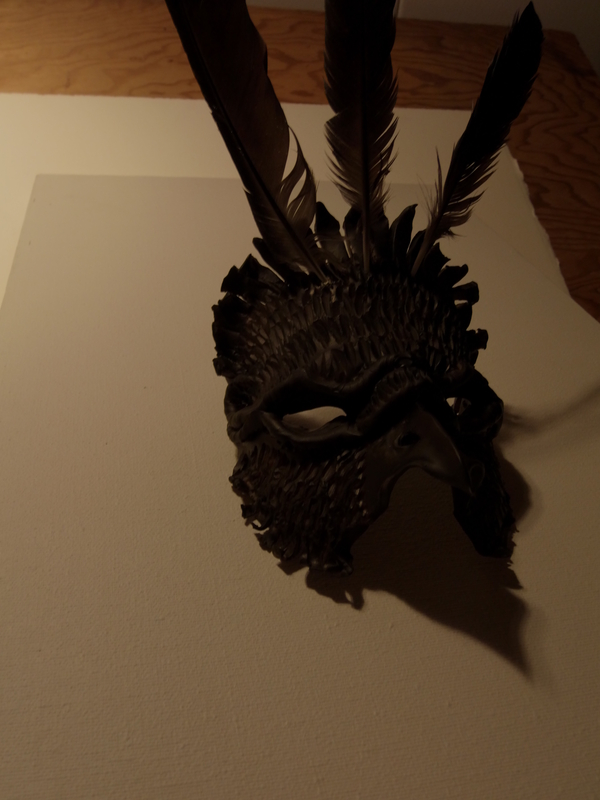 I’ll upload better images once the pieces are installed in the gallery.